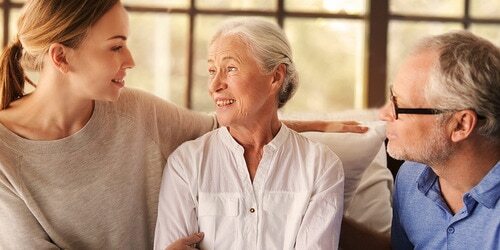 How to divide the primary caregiver’s workload – practical tips. 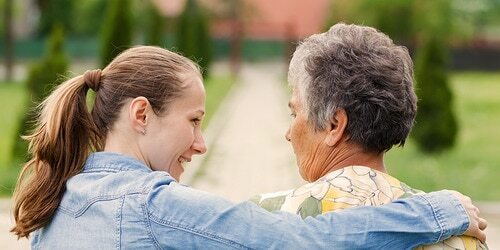 You may be your loved one’s primary caregiver. But that doesn’t mean you have to do all the work yourself. Your friends and family will probably be more than willing to help – if you just ask. If you don't, no one will know that you need help. So don't hesitate. Asking for support is not a sign of weakness. On the contrary, it can help you get the free time you need to relax. Then you’ll have more energy to care for your loved one. Choose a good time to ask. You could mention it at a family gathering or when you meet with friends. Or maybe when those people see you caring for your loved one. Also, be open about your situation. The more that others understand your challenges, the more likely they’ll be to volunteer their help. Your family and friends may simply not know how to help even if they want to. So discuss the tasks in detail, emphasize the fact that they are relatively simple and easy to do. How to divide the workload? visit your loved one to keep them company (for example, by playing card or board games, going for a walk, or watching movies with them). Create a schedule to confirm everyone’s tasks. And bear in mind that some people might prefer to work together with others instead of on their own. Give your helpers some freedom, so that you’re not managing them too much. Otherwise, they might think you have everything under control, and that you don’t need their help. Look up a caregivers support group online. 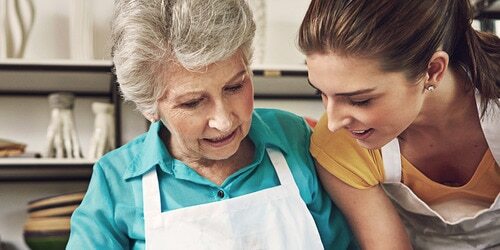 Meet others who take care of their loved ones in your neighbourhood. It’s good to share your experiences with people who are dealing with similar challenges. You can pick up lots of valuable tips.